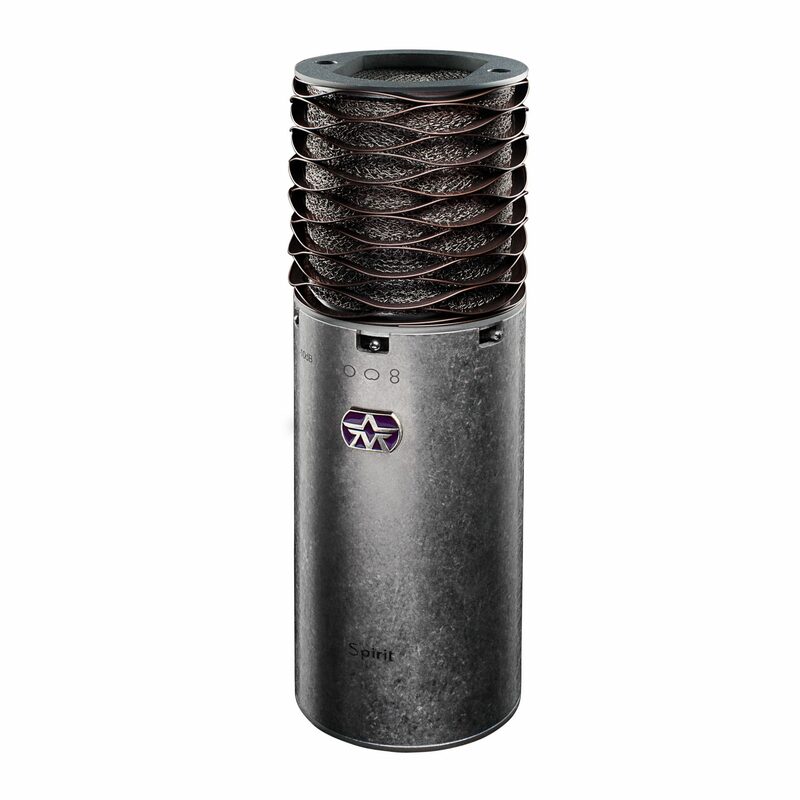 The Aston SPIRIT is a high-performance, switchable pattern, microphone utilising a 1” gold evaporated capsule. A switch on the mic body selects from Omni, Cardioid or Figure-of-Eight polar patterns. It is versatile enough to use with most instruments and excels on acoustic guitar and vocals. Its hand-selected capsule is teamed with high-end transformer balanced circuitry using only the best components. The Spirit is designed to deliver a beautifully open sound with sparkling harmonics. This highly accurate microphone gives a stunningly natural and transparent recording, capturing all the detail in the high range but without adding the harshness that some condenser microphones seem to.